The main character of "Costi and the Raindrop Adventure" is an imaginative six year old boy, who is upset because its raining, and is magically taken on a journey with Raindrop to learn the importance of rain. Along the way he learns about how people and animals need the rain to live. The book is written and illustrated to appeal to 4-8 year old readers and parents who want to begin educating their children about nature and science. 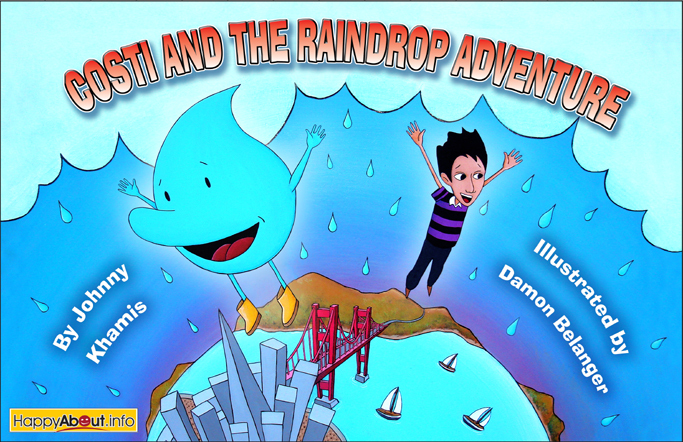 Our goal is to entertain and educate simultaneously by using beautiful illustrations and rhyming to peak the interest of children while providing an education about the cycle of water. The reader will be entertained by the adventure, the art and the rhythm of the story. We hope that children will gain a rudimentary understanding of science and nature. The Costi Adventure books are written to appeal to parents as well as children. For Children, the book is filled with colorful scenes and action packed adventure. The stories have lots of animated animals and adventure which capture the imagination of 4-8 year old boys. Behind the beautiful story and pictures is a lesson in science which will entice parents to buy this book. These books are designed to teach children to understand and respect nature. The book contains 34 color illustrations. 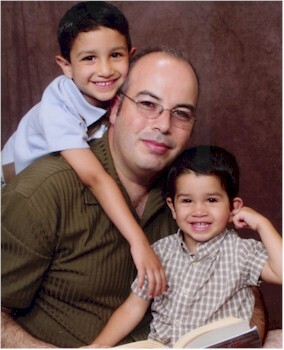 Johnny Khamis is a 39-year-old father of a 5 year old boy who's imagination and inquisitive nature has inspired him to write about the conversations he has had with his son. His son, Constantine, is always asking about how things work, and why things happen. Constantine sits for hours inventing new toys (he calls contraptions) out of his Lego's and tinker toys. They often go on nature walks and are fascinated with; why plants grow, and why rain falls and what happens to the water.